You are here: Home / Contributory Negligence / Contributory negligence: what is it? By definition, contributory negligence can only come into play where your claim is going to be successful. The insurance company dealing with the claim will have accepted ‘primary’ liability and, in doing so, they accept they have to pay you some compensation. However, they want to restrict how much they have to pay to you and contributory negligence is one way they can try to do that. 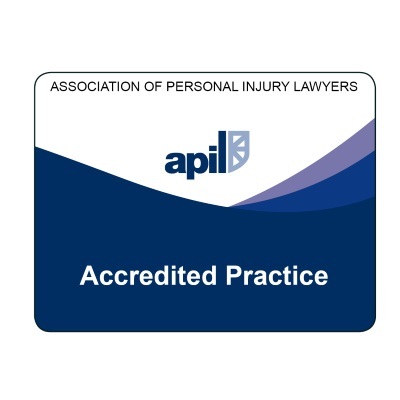 It means they are saying the accident or the injuries you have suffered were partly due to your own fault. as per the photograph at the top of this article, you were injured due to falling from the very top step of a step ladder (the illustration on the leg of the ladder in the photo shows correct use of the ladder – you should not go that far up the ladder). To take a tripping example, in an appropriate case, there might be a finding of 20% contributory negligence. 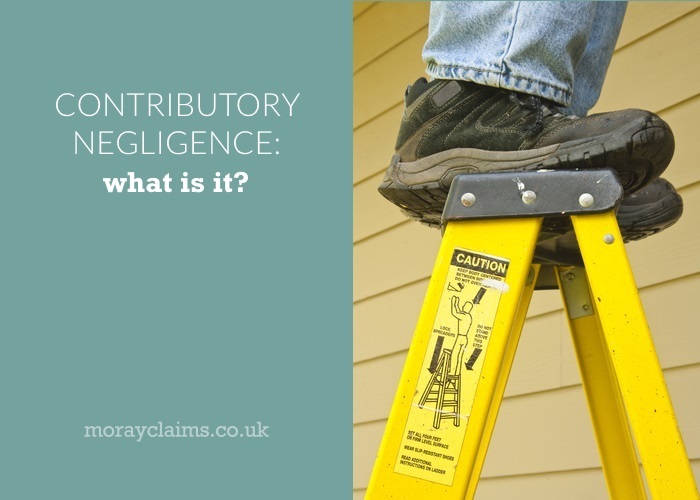 If damages were agreed at £10,000 on full liability, it would mean that, after the deduction for contributory negligence, the compensation actually paid would be £8,000. Whether there is contributory negligence is always a question of circumstances. Each case depends on its own facts. It is not usually possible to generalise about when contributory negligence will apply or the likely percentage. If the person in the step ladder photo has 30 years’ experience in their use, it’s likely they will be found partly to blame for a fall from the top step. On the other hand, if it’s their first day in the job and the correct use of the ladder has not been explained to them, there may well be no contributory negligence. It is up to the insurers to establish that there was contributory negligence; it is not for you to prove the negative. Contributory negligence is often alleged by insurers but, in our experience, it is often not appropriate at all – on a correct analysis of the facts – or the percentage claimed by the insurers to apply is too high. 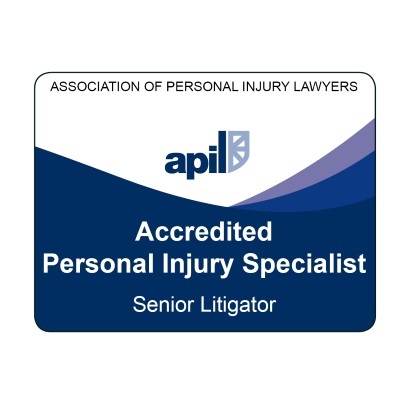 It is important to have a specialist personal injury lawyer on your side to make sure that you get 100% of the compensation that is due to you. If you have any questions about contributory negligence, feel free to contact us. All enquiries are free of charge and without obligation. You can call Peter or Marie on 01343 544077 or send us a Free Online Enquiry. If you didn’t wear a cycle helmet, can you still make a claim for personal injury compensation? 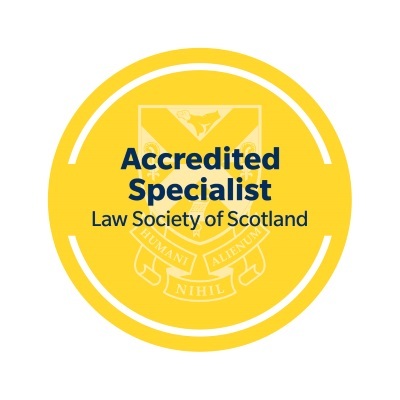 How a pedestrian road traffic accident from Aberdeenshire illustrates the difficulties in working out contributory negligence. When is it contributory negligence and when is it entirely the injured person’s own fault? When failing to wear a seat belt will not result in any deduction for contributory negligence.